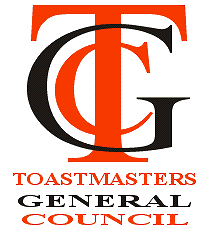 There are many benefits to having a professional toastmaster. A professional toastmaster stands out from the crowd in his red tail-coat thus adding to the pomp and splendour of any event. Having experience in dealing with formal occasions, a toastmaster’s skills will ensure the smooth and efficient running of the event. 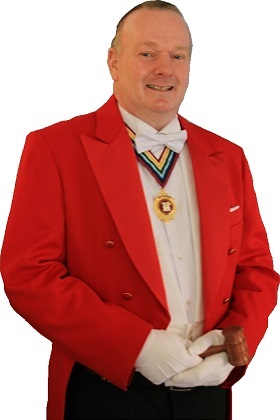 A toastmaster will discreetly conduct duties, provide confidence and a calming influence to those involved. Toastmasters can advise on etiquette and protocol thereby ensuring that those with specific roles to perform do so in the proper manner. By enlisting the services of a toastmaster the host is relieved from anxiety and can enjoy the event, having delegated the detailed co-ordination. 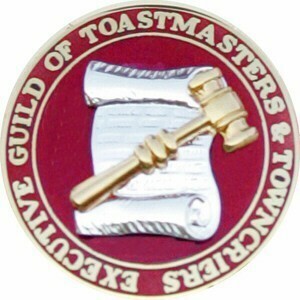 A toastmaster will conduct the proceedings with authority and dignity without being overbearing. Your event will have achieved that extra ‘touch of class’ and style to complement the occasion. Whether it is a special dinner or banquet, a wedding reception, a private or civic function a toastmaster’s skills are ideally suited for the event. The correct protocol will include the introduction of guests, the announcement of speakers and the general formalities of the event. Whatever the formal occasion it will progress more smoothly with the help of a Toastmaster who can turn a ‘good’ event into a ‘great’ occasion. Make it special – engage the services of a Professional Toastmaster.